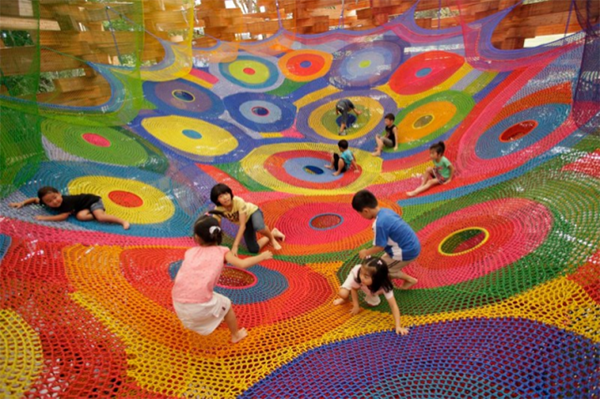 In what could be described as a playful blend of Gaudi’s architecture and 80’s cult film Honey, I Shrunk the Kids, these colourful works by Toshiko Horiuchi MacAdam rethink the status quo of play spaces for both children and adults alike. 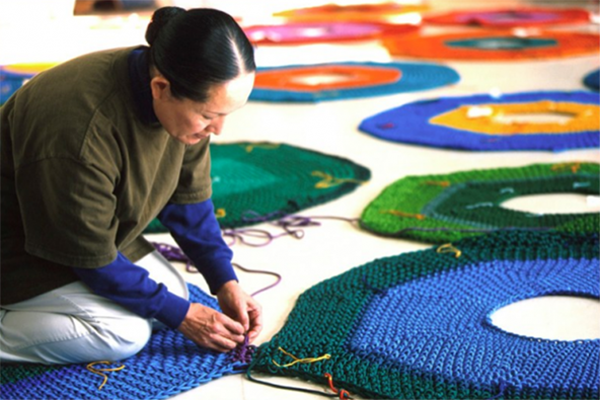 The entire concept began as an accident after MacAdam was showing a crocheted art piece she created at an gallery. Two children with an active imagination inquired as to whether they could play on her art (the nerve!). At the time, little did anybody know that the inquisitive and playful nature of children would have such an effect. 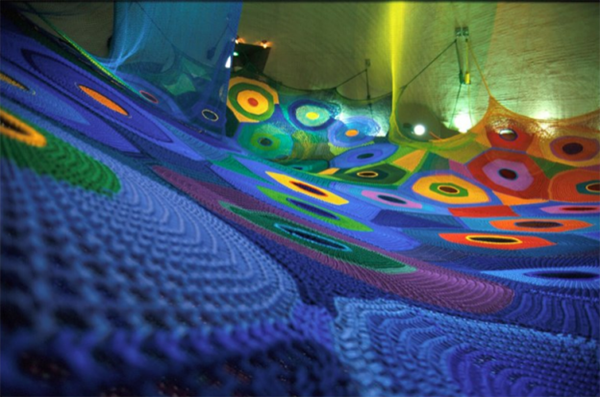 One day I was exhibiting a 3-dimensional open-work textile sculpture I had created in collaboration with a friend. Some children came to the gallery and climbed into it. Suddenly the piece came to life. My eyes were opened. I realized I wanted just such a connection between my work and people alive at this moment in time (not a hundred years from now). I realized I was in fact making works for children. It was an exciting moment for me. The inspiration was born. 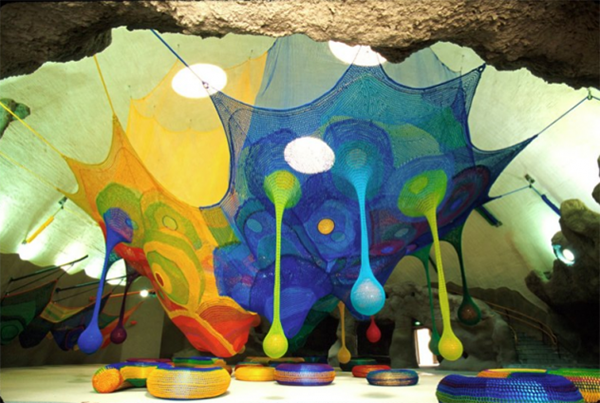 MacAdam shifted the laborious process of hand-crocheting synthetic yarn from gallery piece into large-scale interactive and useable models. 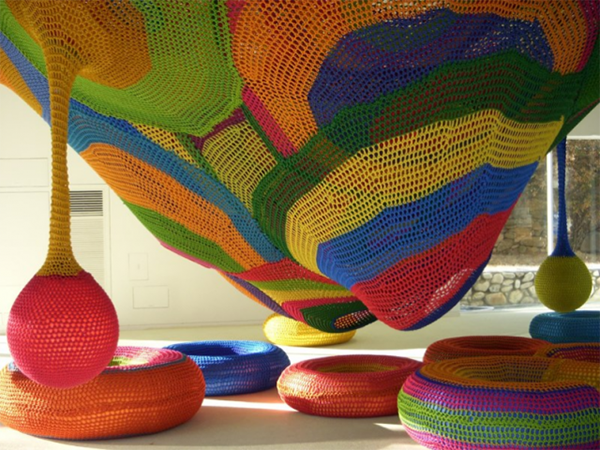 To see these pliable structures that MacAdam creates being must be marvelous. From what we've read, they warp, bend and almost come alive responding to the touch and enjoyment of their user, something so wonderful yet is rarely seen in either art or architecture.